Moro Branislav has quit as Foton coach. 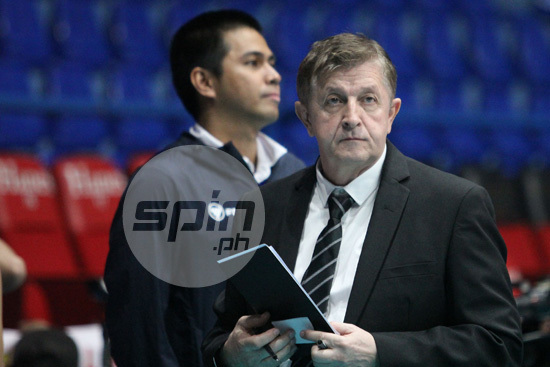 MORO Branislav stepped down as Foton head coach and is being eyed by three other Philippine Super Liga teams. The Serbian coach, who quit his post just days after steering the Tornadoes to third place the PSL Grand Prix, told reporters earlier this month that three PSL teams have expressed interest in acquiring his services. “Nagpaalam na sa amin si coach Moro, he said, ‘see you next year’ pero sa other side (of the court) na daw,” said Foton team manager Diane Santiago. The Foton official added that they did everything they could to keep Branislav but he was determined to leave. Branislav called the shots for Foton for four conferences, leading the team to a championship in the 2016 Grand Prix. He was the second head coach to resign at the end of 2017 after Sta. Lucia’s Jerry Yee, who will transfer to Total in the Premier Volleyball League.